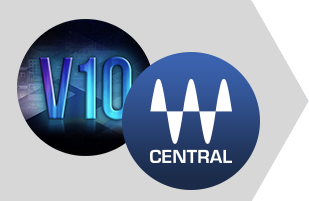 Use Waves Central to install and activate the latest version of Waves products. The latest version of Waves Central is specified above. Older versions will no longer work. Downloads not included in Waves Central: SoundGrid Rack for VENUE, Tracks Live, Waves for DiGiCo, and Waves for VENUE V3 - V3.1.1. To see the latest product releases, updates and bug fixes, view the Release Notes page. Waves Central does not support VPN connections or software as they can change MAC addresses (used by Waves Central to identify your computer) and cause licensing issues. We strongly advise that you remove, disable, or turn off all VPN software before launching Waves Central.